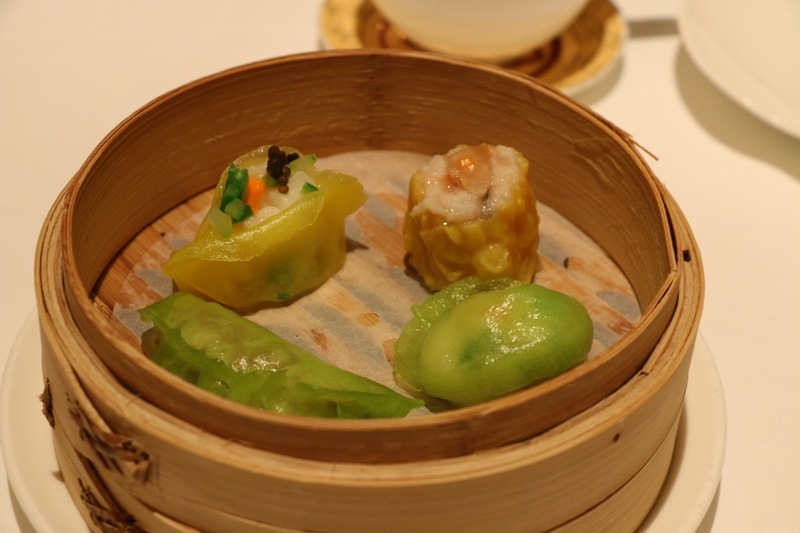 Heading to this Michelin two-star restaurant, the luxuriously decorated interior is fully inspired by the Chinese with a feast of oriental glamour included. The antique setting, also includes an artsy combination of red and golden yellow colour. It has indeed done a wonderful job in transporting us back to Imperial China. 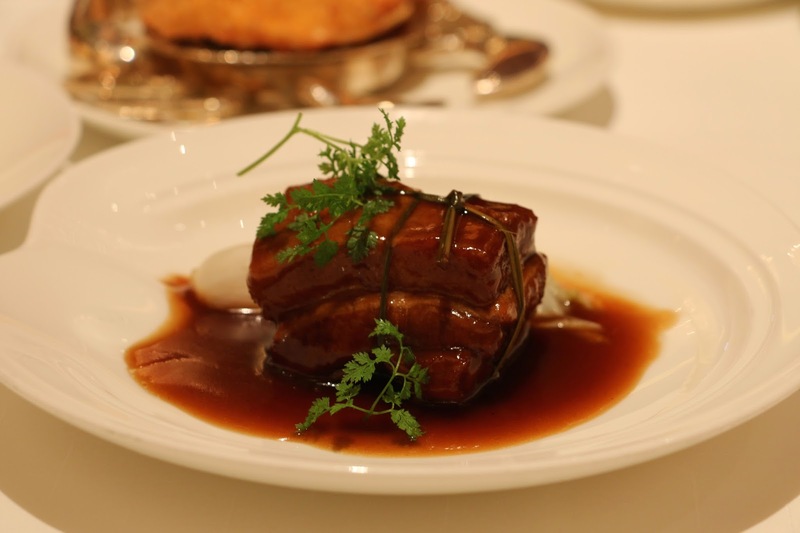 Unlike Angelini, the Italian restaurant, Shang Palace is located in the basement of the Kowloon Shangri-La Hotel. 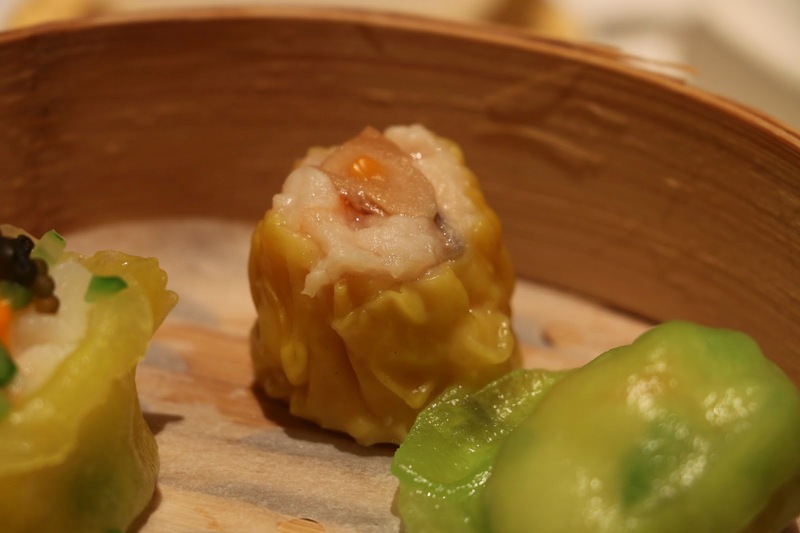 While traditional Cantonese cuisine is offered here all the time, dim sum is only served in the afternoon. 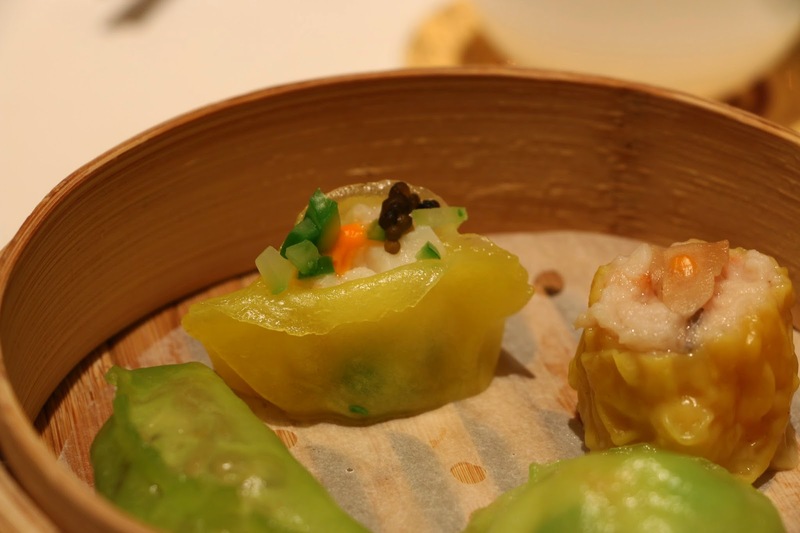 A fancy dim sum platter is specially prepared in celebration of their 34th anniversary. 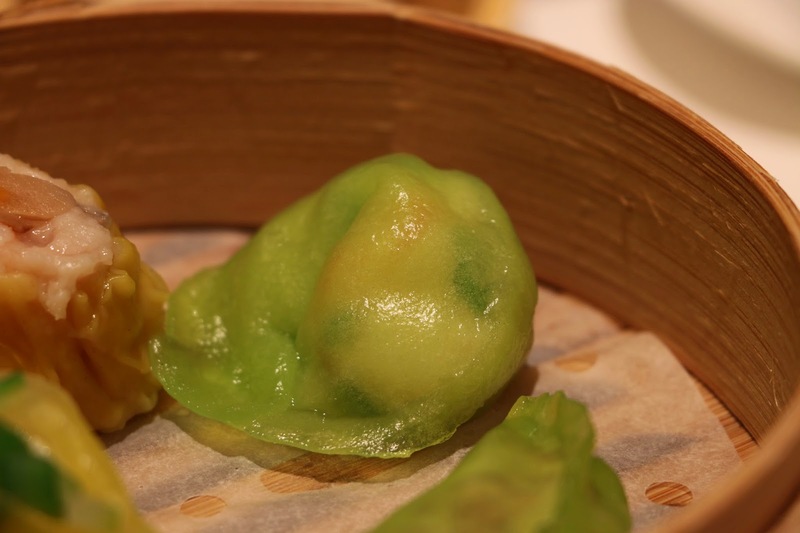 The dish includes a scallop dumpling in a yellow wrapper, shao mai, a shrimp dumpling and a vegetarian dumpling. They are all equally delicate and delicious. 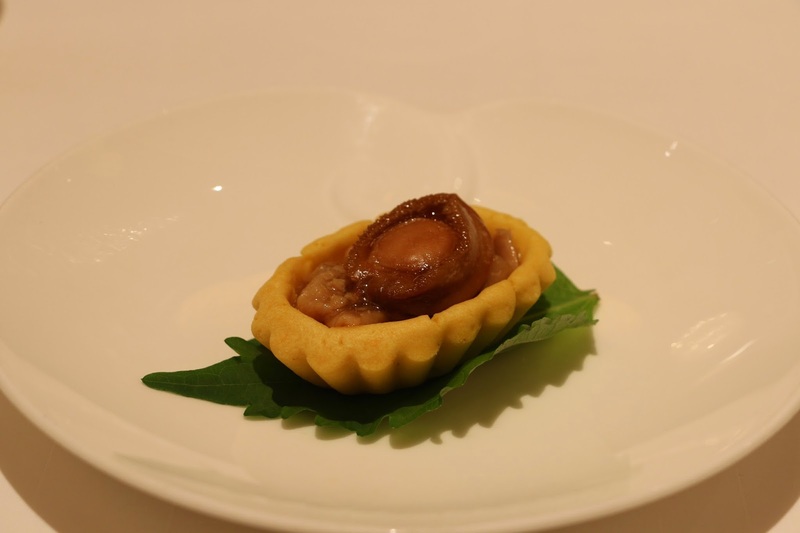 The signature abalone puff is made with a well-baked buttery crust and chicken filling. 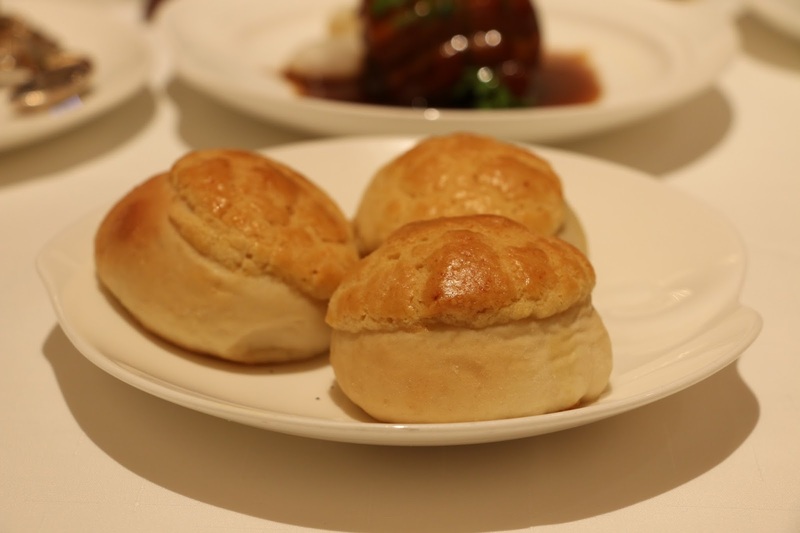 The pineapple baked buns are very lovely looking having a criss-cross crust with the actual bun being fluffy and stuffed with sweet honey glazed char siu pork. Moving on to the a la carte items, the braised pork ribs aren't overly tender but still retain an element of succulence to them. 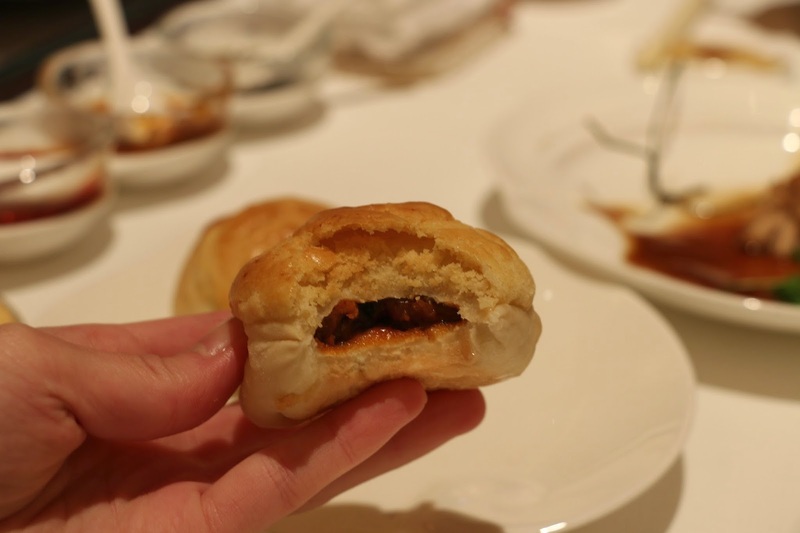 They are complemented with a vinegar sauce that could have been made a little sweeter. 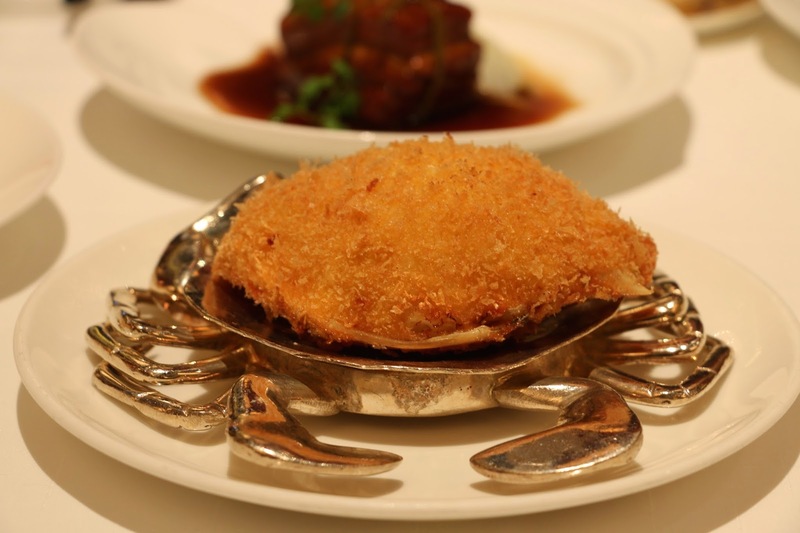 A highly recommended dish at Shang Palace is the stuffed crab shell. 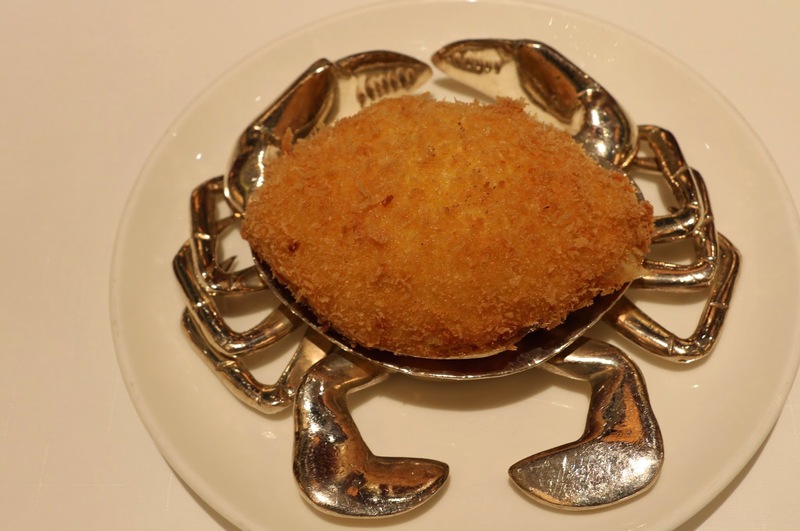 It is a generous portion of crab meat and onion shreds coated with crispy golden breadcrumbs. The black vinegar is also optional to make it stand out a little more. 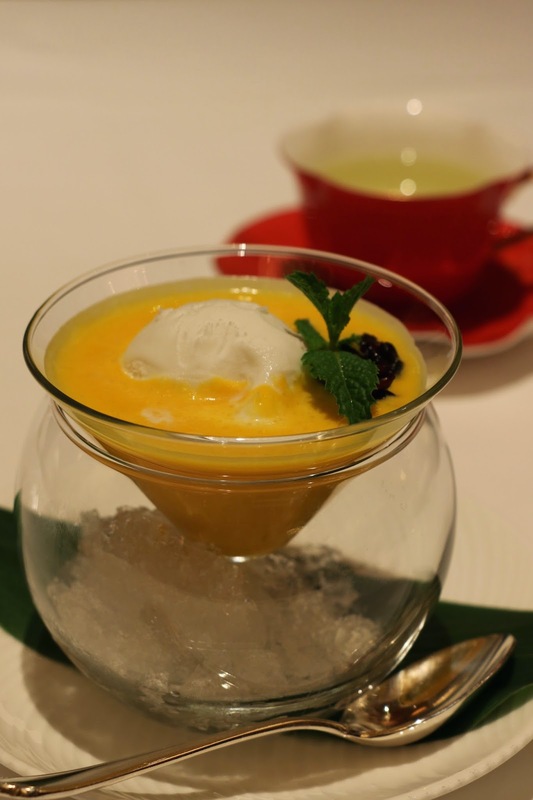 We end our meal delightfully with chilled pumpkin cream, a scoop of coconut ice cream and a spoonful of purple glutinous rice. 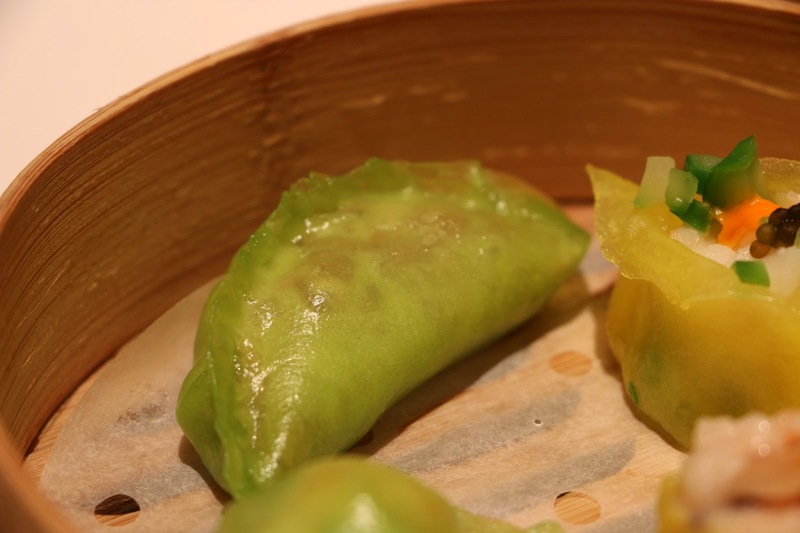 After a full analysis of this restaurant, this elegant eatery does indeed deserve a special mention in Hong Kong's plethora of dining options.